David J. Gershon is a partner in the Corporate and Securities Practice Group in the firm's San Francisco office. David's practice focuses on securities and general corporate matters for financial institutions and technology companies, including mergers and acquisitions, securities law compliance, SEC reporting, securities offerings and corporate governance. David represents financial institutions, technology companies, underwriters and private equity funds in these matters. His corporate finance experience includes private placements, public offerings, PIPE transactions and at-the-market offerings. He also advises clients regarding bank regulatory matters, such as acquisition and control issues, holding company issues, nonbanking activities, the organization of de novo banks and supervision and enforcement matters. He has represented underwriters in equity offerings and private equity funds in their investment transactions. 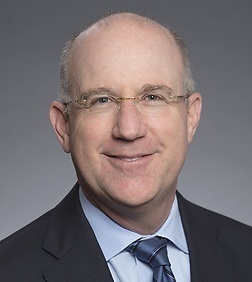 Prior to joining Sheppard Mullin, David served as general counsel of a NASDAQ-listed semiconductor company and its successor, a consumer electronics developer. He also served as the general counsel of a venture-backed software developer. As general counsel, David regularly advised executives and board members on a broad range of legal issues. He has also advised clients on a variety of intellectual property matters.